New Lighting Fixture Templates and Manufacturers are continually being added to our Libraries - Click the link to go to our database of lighting manufactures and fixtures. Download the latest BlueLite software installer..
We now have a moble app that provides control of Live Panel using your iOS and Android device. The BlueLite installation package above includes a version of the Live Panel that only supports control via a single mobile device running the iPanel app. If you need to control Live Panel using multiple devices, this update will allow multiple mobile devices to connect simultaneously. A PDF file listing the most recent changes to the software. A PDF file with instructions on downloading and installing the Live Panel update. 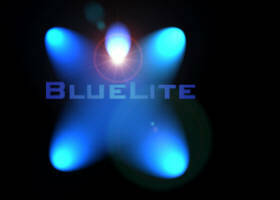 This is a simple 'MIDI Note to Submaster Level' Trigger for the BlueLite X1 Show Control System. The ArtNetInput16.exe application will continue to run in the System Tray after the BlueLite software has exited allowing you to use your X1 or X1-Mini as an ArtNet Node. This allows you to use your favorite ArtNet control software on your phone or tablet to aid during setup and focus. This app is a simple 'MIDI CC (Controller Change) to Submaster Level Trigger' for the BlueLite X1 Show Control System. This a simple 'MIDI Program (patch) Change to Event List Trigger' for the BlueLite X1. This will automatically load and run a show file based on SMPTE timecode . This is a simple date/time advance show scheduler for the BlueLite X1. It can schedule portions of a show file. 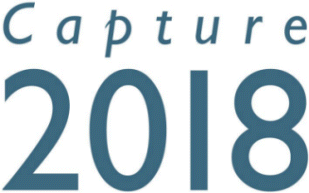 Licenced Capture Nexum Solo, Duet, Quartet, and Sympony users can download the latest version of Capture Nexum for Windows or Capture Nexum for Mac OS X from the Capture website. The Capture Nexum software can also be downloaded and run in 'Demo' mode. In Demo mode the software is time limited (90 min/session) and has no 'Save' capability. Sample projects for Capture Nexum. These can be used for testing, evaluation and training. If you need to update the library, download the c2z file and use the 'Upgrade library' feature in the 'Tools' menu of Capture. A reduced amount of trusses and fixtures in the library. Opens and Saves Student Edition project files only. A maximum of 2 DMX Universes can be used. Sample projects for Capture Nexum Student Edition. This can be used for testing, evaluation and training. Capture Polar, Argo, or Atlas users can purchase upgrades to Capture Nexum by visiting our Web Store. ArKaos MediaMaster Pro can be downloaded from the ArKaos website for both licenced users and to download and run in 'Demo' mode for evaluation..
ArKaos MediaMaster Express can be downloaded from the ArKaos website for both licenced users and to download and run in 'Demo' mode for evaluation.. Does not export Capture Presentation files. While you can always record your own timecode track using the BlueLite X1 hardware, we've providided a few prerecorded timecode tracks, of different lengths, for you to use in your projects. A 30 minute mono audio track with 30 minutes of SMPTE timecode recorded in a .wav file format. A 180 minute mono audio track with 180 minutes of SMPTE timecode recorded in a .wav file format. A 180 minute mono audio track with 180 minutes of SMPTE timecode recorded in a .mp3 file format. A 60 minute mono audio track with 60 minutes of SMPTE timecode recorded in a .wav file format. A 60 minute mono audio track with 60 minutes of SMPTE timecode recorded in a .mp3 file format.